Publish HTML web page output of QFD reports. Generate customer surveys in text, Microsoft Word, Rich Text Format, and HTML Web page formats. 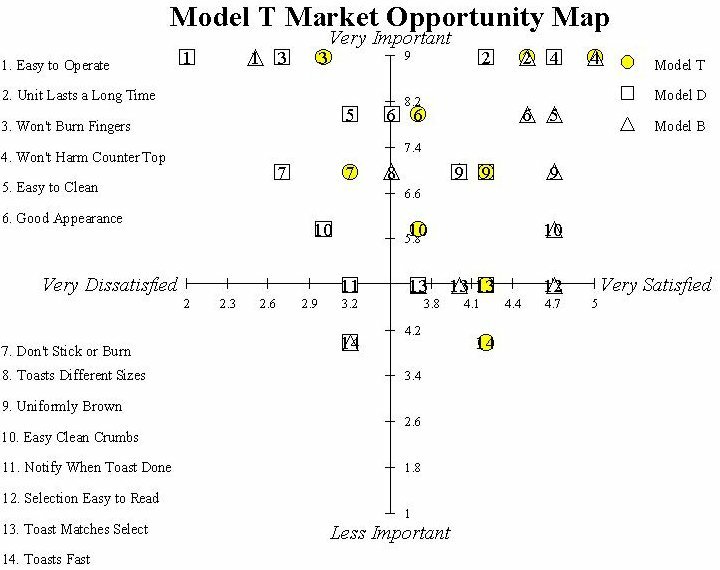 Produce Market Opportunity Map reports identifying the best opportunities for product improvement. Generate relationship tree diagrams showing measures for each requirement in a graphical tree and branch format. Print out and work with blank chart templates which are useful as documents-in-progress during team meetings. Print out spreadsheets as they appear in QFD/Capture. More options allow users to increase the size of their applications.